Welcome to Bear Creek Family Dentistry Euless Office. 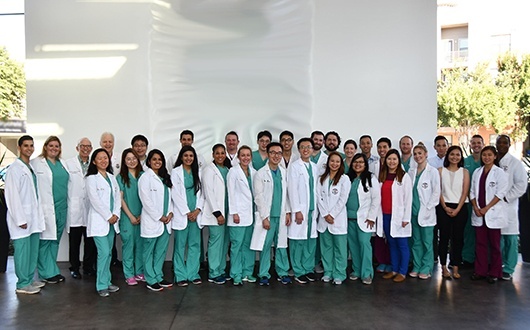 For the past 3 decades, Euless families have known the one place they need to go to get all of the dental services they need now and in the future: Bear Creek Family Dentistry. We have been serving Euless families for nearly 30 years, and we’re proud to continue to bring you complete dentistry care that you expect. Whether you are looking to maintain your healthy smile, or you need some help restoring your smile to what it used to look like, our Euless office is here to help. Looking for a place to bring your children? 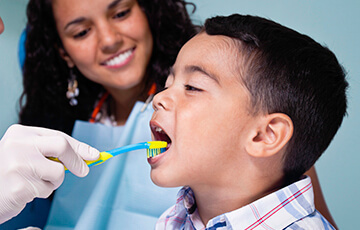 Our office has specialty dentists in house to take care of your little ones. We are located right off of Main St. just a few minutes north of Bear Creek Dr. We’re in the same area as the HEB Martial Arts and Best Cuts. If you’re driving on TX-360 N., take the exit for E Mid Cities Blvd W and stay on it all the way to N Main St. Once you reach main, take a right, and our office will be on your left just after Bear Creek Dr.
From Hwy 121, take the exit for W Mid Cities Blvd. E and take it all the way to Main St. Take a left on main, and we’ll be on your right just after Bear Creek Dr.
We've helped countless friends and families all across Euless smile bigger and brighter. Below are just a few of the kind words our actual patients have said about us from reviews around the web! Our Euless location is an in-network provider for nearly all dental insurances, and you can view our full list right here. Our goal is to make it as easy as possible for you to use your insurance, which is why you will always know your financial responsibility before your treatment begins. Also, our team will do everything they can to maximize your benefits. If you don’t have dental insurance, be sure to ask us how you can get extremely affordable monthly financing plans with CareCredit. Don’t see your insurance provider? Find Your Insurance Plan Need financial help? 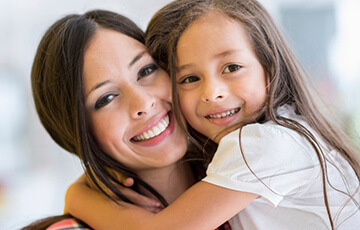 At Bear Creek Family Dentistry, we’re eager to serve your entire family—it’s right in our name! Everyone from grandkids to grandparents has a place here. Here, all of your loved ones can get their two standard preventive checkups a year. We offer basic but essential services like cleanings, exams, and x-rays to make sure small dental issues like tooth decay and gum disease can never become a real problem. If you’re looking for a stress-free smile, we’re the place to get it! Despite our patients’ best efforts, sometimes their teeth need a little extra help. Than can become decayed or broken because of an injury, and when that happens, our restorative services in Euless are there to help. 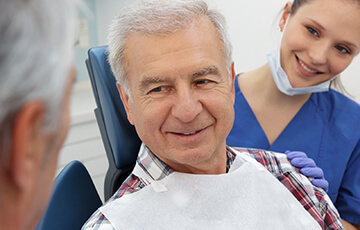 Treatments such as crowns and fillings can make decayed/damaged teeth seem like new, while bridges and dentures can be used to replace missing teeth. In fact, thanks to our in-house oral surgeons and prosthodontists, you can even get complete dental implant care. Dental implants are currently, without question, the best tooth replacement option available today. If you’re looking to permanent fill in the gaps in your smile, we know just how to do it. Children have very particular dental needs, the most prominent one being that all of their care requires a gentle touch. Thankfully, we have a board-certified pediatric dentist in Euless who perfectly understands both of these facets. They’ll be able to offer your littlest smile child-oriented treatments like dental sealants, and they’ll always take the extra time to make sure your child is perfectly comfortable in our office. We know how important these early visits are, and we’ll do everything we can to make sure your child will be eager to take care of their teeth as they grow and develop.